1- Dried Hibiscus petals are used for garnishing the food in certain areas,specially, Mexico. 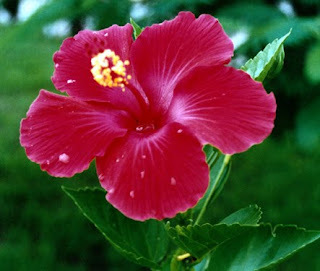 In fact, the natives of Mexico treat hibiscus as a vegetable and consume it by making delicious dishes out of it. 2- Hibiscus flower is regarded divine as per the Indian mythology hence, it used for worshiping in temples and people dedicate its offerings to their gods. 3- Being a wonderful hair stimulator, hibiscus is extensively used as a herbal ingredient in various hair conditioners and shampoos. 4-Hibiscus tea is a a favored beverage among people as it is herbal and has therapeutic effects on body. 5-Handmade papers use hibiscus as an indispensable constituent in its manufacturing. 6-There are immense medicinal and curative properties of hibiscus flower. It is commonly used for treating dandruff and blood pressure. Apart from that, hibiscus extracts are useful in curing respiration problems, indigestion and loss of appetite etc. 7-The most popular use of hibiscus is as a food color. Just like the cochineal extract, hibiscus's inherent red-blue color is used in food products after boiling the dried hibiscus petals in water. 8- Since hibiscus contains vitamin c, many a times it is used for adding a tangy flavor to various foods and drinks. Thus, after the above mentioned facts it is rather evident that not only is hibiscus a beautiful flower, but also an extremely useful product too. To know more about hibiscus, click here. for you if it's allright. Could it be simply me or does it appear like a few of these remarks come across like they are written by brain dead visitors? :-P And, if you are posting at other social sites, I would like to follow you. Could you list of the complete urls of your public sites like your linkedin profile, Facebook page or twitter feed? What are Stone Massage Therapy Benefits? 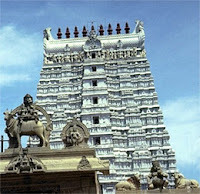 Why Good Iron Level in Blood is Important?